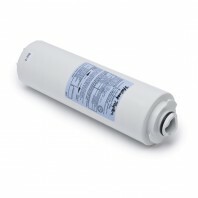 Halsey Taylor water filters are renowned for their ability to reduce harmful particles like lead and chlorine. With the right filter, you can optimize your water filtration system to ensure only the cleanest tasting drinking water is served to you and your loved ones. As a genuine OEM product, you can be sure that it meets the top standards for removing chlorine and lead. Discount Filter Store currently carries Halsey-Taylor water filter cartridge replacements built to fit the Halsey Taylor Hydroboost and the Elkay EZH20 bottle filling station. These filter cartridge replacements offer high flow rates and top quality filtration for up to a year. Made in the USA, Halsey-Taylor filter cartridge replacements are constructed from activated carbon with ATS-lead removal. If youâ€™re in need of a different filter, or are interested in learning more about water filtration, visit our Filter Resource Center page. Discount Filter Store also carries water filtration products from these leading brands.